Colombia’s new President Ivan Duque has his work cut out for him as he takes office Tuesday amid heightened tensions with neighboring Venezuela and the lingering difficulties of peace-building with the nation’s rebel groups. The right-wing Duque, who is just 42 years old, succeeds Juan Manuel Santos — and could work to undo the deal his predecessor reached with leftist FARC guerrillas to end a half-century of conflict. The former lawyer and senator also must face an ongoing battle against drug traffickers, a shocking spate of murders of rights activists and a promise to implement agrarian reform. And Colombia’s political left, soundly defeated in the June elections, will protest on Tuesday as Duque is sworn into office in the presence of several regional leaders including Mexico’s Enrique Pena Nieto and Ecuador’s Lenin Moreno. 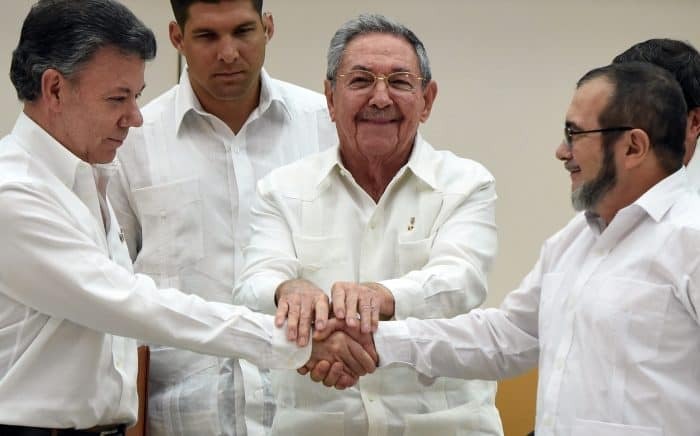 Duque’s success will depend in large part on his connection to popular former president Alvaro Uribe (2002-2010), who handpicked the political novice to help the right — which opposed the deal with the FARC — to regain power. “His mentor’s situation and relations with Venezuela are the keys” to Duque’s presidency, political scientist Diana Avellaneda from Javeriana University told AFP. Relations with Caracas took a dive at the weekend when Venezuela President Nicolas Maduro claimed to have been the victim of an “assassination” attempt — and put the blame on Santos, “ultra right-wing” domestic opponents and the United States. 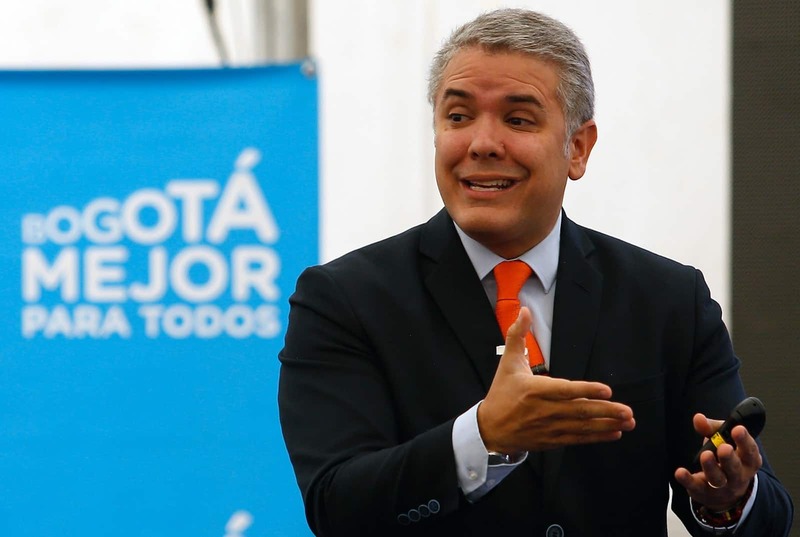 Duque looks set to stand up to Colombia’s neighbor to the east, demanding “free elections” following a May poll that saw Maduro re-elected, which was boycotted by Venezuela’s opposition. The neighbors share a 2,200-kilometer (1,400 miles) long border that is hard to police. If Duque “starts answering everything Maduro says… he will add fuel to the propaganda and political fire to keep ratcheting up the tension,” said international relations expert Jairo Velasquez. At home, Duque’s firebrand rhetoric has increased tension and rocked already fragile relations with rebels, both former and current. Upon his election in June, he vowed to make “corrections” to the peace deal with the Revolutionary Armed Forces of Colombia (FARC), which he criticized for being too lenient in allowing former rebels accused of atrocities to serve as lawmakers. Ending 50 years of conflict that has cost the lives of 260,000 people and left more than seven million displaced is no easy undertaking. But Duque — with Uribe’s backing — has made it clear he thinks the deal is deeply flawed. Under Duque, who certainly has a tougher approach to the ELN, those talks will likely stall. As the hand-picked choice of Uribe, president from 2002-2010, he enjoys considerable support from the powerful Democratic Center party his mentor launched. But the 66-year-old Uribe, now a senator, is accused of witness interference and faces a Supreme Court investigation, and an uncertain political future. At least Duque can call on strong regional ties amidst a recent upsurge in the fortunes of the political right on the continent, notably Argentina, Chile, and Peru. Brazil may follow suit in October. 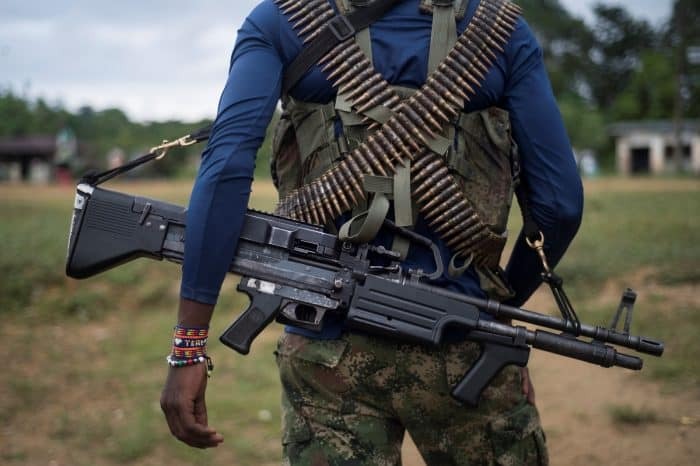 But in addition to woes with Venezuela to the east, all is not serene on Colombia’s southern border, where Ecuador has been angered over the drug-trafficking violence spilling across its frontier. Remember that Secret Service scandal involving prostitutes in Colombia? Turns out there’s more to the story.